A second tourist, also from Taiwan, was injured. 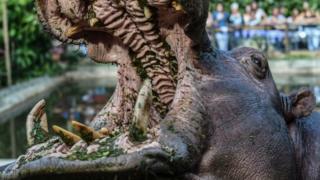 Six people have been killed by hippos in the area this year. The Kenya Wildlife Service initially identified the two tourists as Chinese but Taiwan’s foreign ministry later confirmed they were Taiwanese nationals. Kenya has no formal ties with Taiwan and recognises China’s claims over the island. Hippos – herbivores or carnivores?